Your iTunes Radio caches have taken up some valuable space on your iPhone because of longtime use? 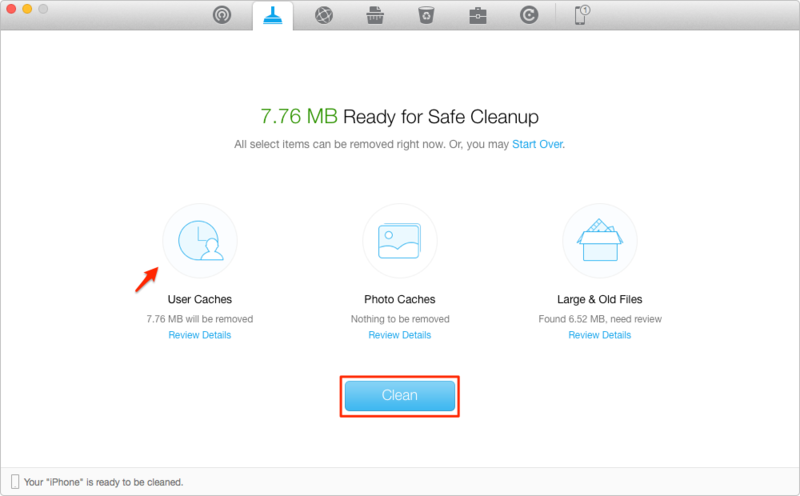 Here's a guide just for you to cleanup those junk files to reclaim more space on iPhone. Get stared now with this awesome clear utility so that you can make use of it after reading this How to cleanup iTunes Radio caches guide. iTunes Radio is an internet radio service. It is free to all iOS users, featuring Siri integration on iOS. With iTunes Radio, users are able to skip tracks, customize stations, and purchase the station's songs from the iTunes Store. The service also generates a radio station based on input like a single artist with songs by that artist and others similar. It has won a huge amount of users for its perfect service. However, problems may come along with its accumulated cache after a long-time use, for after using iTunes Radio, there are pictures and image files for the recently played albums and podcasts. Sometimes iTunes Radio caches provide convenient for its users, but sometimes it turns out not! A User complains like this: When I listen to the Radio station KQED and come back later to listen live, it starts playing from the place I left off. It will play from exactly the time I left off even a day later. The only solution is to go to KQED website and reload the playlist. Is there a way to clear the playback cache in iTunes so it will play live each time? iTunes Radio is a great recreation centre until you found considerable cache files there. Along the lines of "peace of mind", PhoneClean smartly clears iTunes Radio caches including the text or image files for the recently played albums and podcasts. It will clean up all the hidden caches with just one click. The following are the quite specific steps. Step 1. Download PhoneClean and then run it. 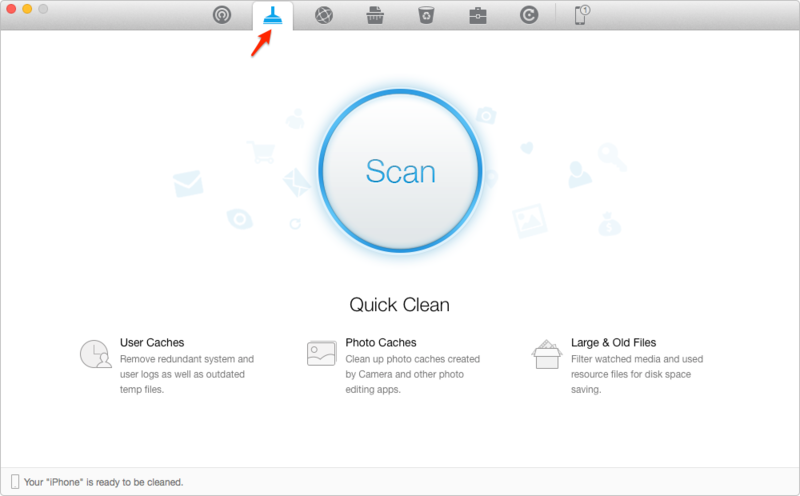 Click Quick Clean, and start scan your iPhone. Step 2. After the scan is over, click User Caches to view the iTunes Radio cache files. Back to the result page, and click Clean button.